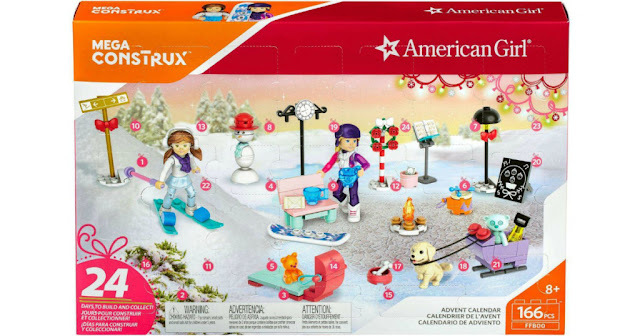 Right now over at Walmart.com you can score this Mega Construx American Girl Advent Calendar for your little American Girl fan for only $15.99 (Retail $19). Kiddos will find a new American Girl-themed surprise every day of December leading up to Christmas in this American Girl Advent Calendar! It features two buildable mini figures in ski outfits, a puppy, a winter-themed wonderland, a snowman and lots of additional accessories! Even sweeter, this set can be combined with other American Girl construction toys for even more fun!